A show-stopping collection of minerals valued at $3.2 million has been donated to the Mines Geology Museum. The 27 specimens — remarkable for their pristine condition, color and crystal form — come from the personal collection of Eric Long, an oil and gas industry veteran based in Austin. "A donation of this caliber truly elevates the quality of our exhibits and also heightens the experience for our visitors. Mr. Long is a mineral connoisseur and the quality of these specimens clearly reflects that," said Renata Lafler, executive director of the Mines Geology Museum. "We are absolutely thrilled to share this generous contribution with the public and encourage everyone to come see these natural works of art." Long, president and CEO of USA Compression Partners, has been a serious mineral collector for more than a decade. A graduate of Texas A&M, he was first introduced to the Mines Geology Museum a number of years ago by Mines alumnus Hugh Harvey '74 MS '80, who happens to be one of the neighbors in the mountain neighborhood where Long and his wife, Tracy Walsh, a Colorado native, have a home. "The Mines Geology Museum is a real gem and Tracy and I are so excited to be able to make the donation," Long said. "Both the museum and Colorado School of Mines have so many opportunities from an educational perspective to help open people's minds about the extractive industries, and we hope that these beautiful minerals can help serve as a gateway. With this collection, I hope we can stimulate a love affair for the natural beauty we see in the world and get kids and their parents hooked. What better way to encourage kids' interest in STEM topics than by stimulating their intellectual curiosity through minerals." 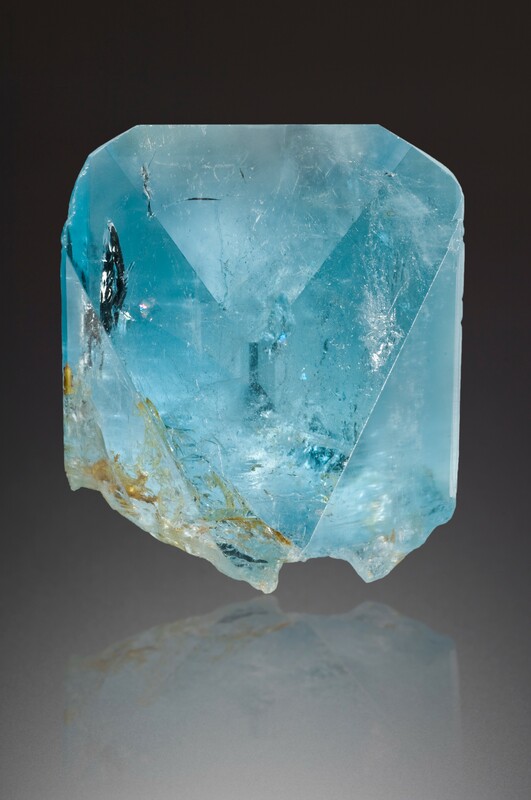 Blue topaz from Brazil: Most topaz is colorless or brown and synthetically treated and irradiated to turn a deep blue. This rare specimen is that same blue color by nature. Wire silver from China: These delicate wires are typically found in the uppermost regions of silver mines — layers that were exposed and mined centuries ago across much of the world. In China, where mining activity is newer, they're uncovering impressive silver wires like this one today, with the help of modern technology. Green prehnite from Mali: Prehnite is actually found in very small quantities on Golden's Table Mountain — although nothing like this specimen. 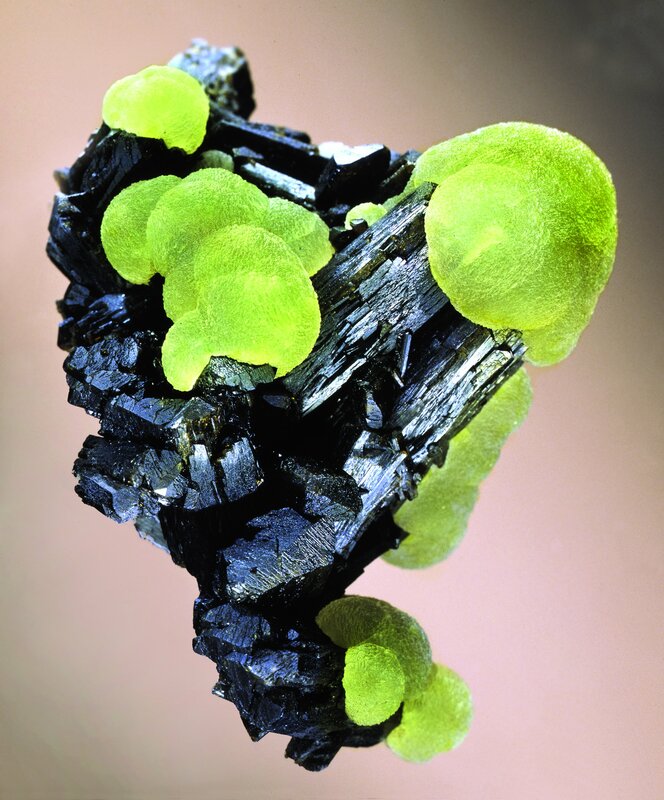 The electric-green prehnite clusters on an epidote base once appeared on the cover of The Mineralogical Record. "From a geologic perspective, they're all very unusual and they're all very special and they all have a wow factor — you look at them and go, wow, that's really pretty or that's bizarre," Long said. "I got into collecting rocks as a child because I thought they were pretty. But the more you learn about them - how hard they are to find, how rare good specimens are — it makes you think about the complex science behind their formation tens or hundreds of millions of years ago." The Long donation will be on special display in the Llewellyn Special Exhibits Room through Fall 2019. The specimens will then be incorporated into the museum's permanent displays based on their country of origin. Founded in 1874, the Mines Geology Museum is the second most visited university geology museum in the nation, with more than 22,000 catalogued minerals, as well as significant specimens of meteorites, fossils, gemstones and mining artifacts. The state repository for Colorado's mineral heritage, the museum is also home to one of the state's two Goodwill moon rocks collected during the Apollo 17 mission, a walk-through mine and the Miss Colorado crown. Free to the public, the museum, 1310 Maple St., Golden, is open 9 a.m. to 4 p.m. Monday-Saturday and 1 to 4 p.m. Sunday. For more information, go to mines.edu/geology-museum.